he beauty of this piece is the delicacy of its design. 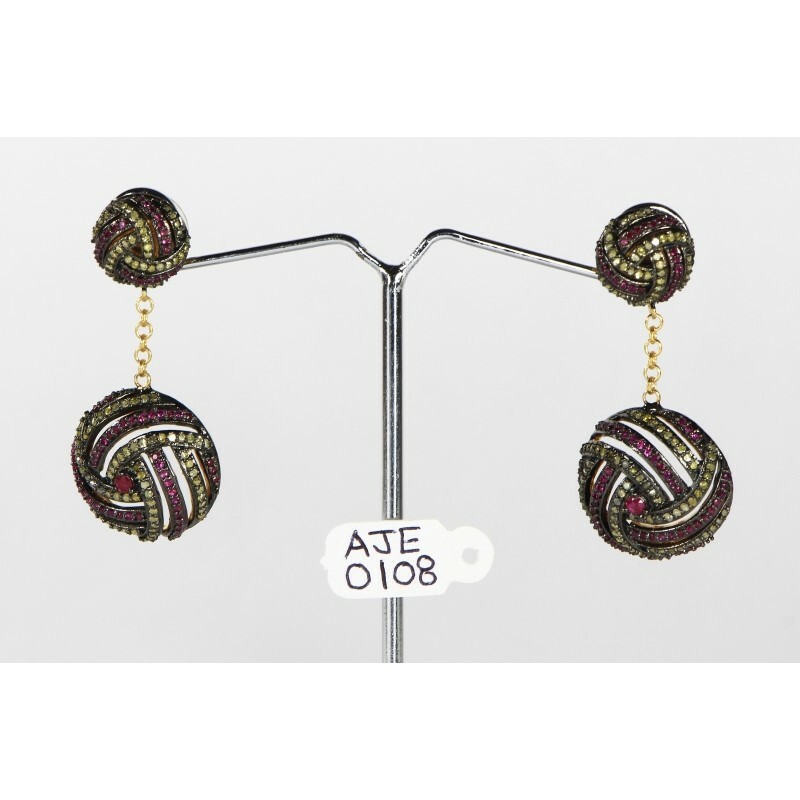 It is set in a combination of 14kt Gold and .925 Sterling Silver with Diamonds and Ruby interwoven.The Diamonds are white and colored Diamonds. So, the combination of the white and colored diamonds with the Ruby looks stunning in the woven pattern. 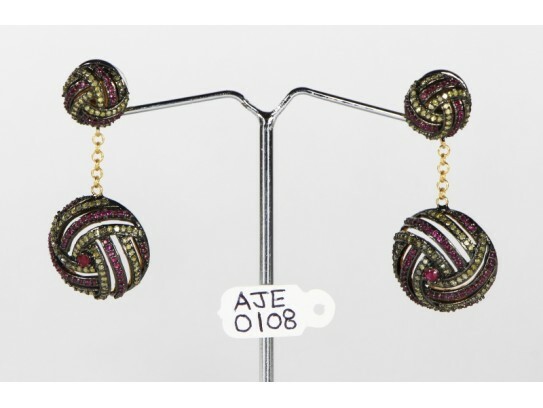 The Diamonds and Ruby are set in Silver and the back and chain connecting the top and bottom parts of the earring, is set in 14kt Gold. It is a handcrafted piece. It is very modern design with an antique look . It is light weight and the movement of the piece enhances its beauty.